Hubert Robert (1733-1808) made paintings of ruins a speciality. 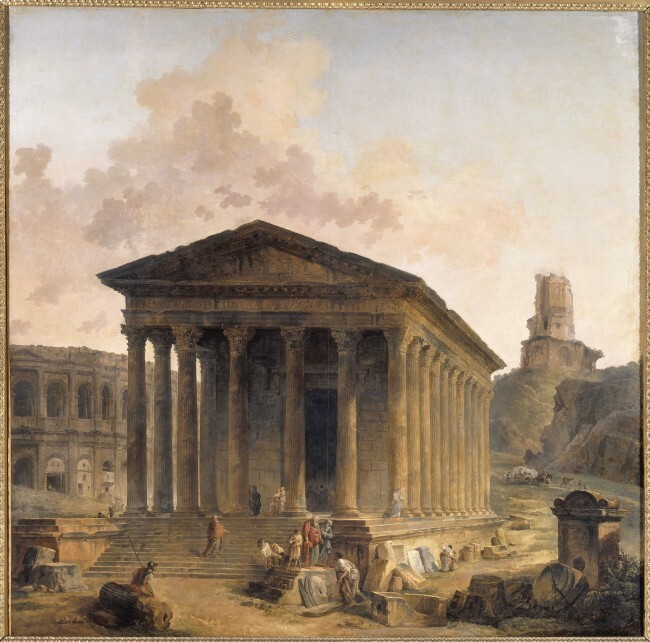 In 1783, he painted the Maison Carrée in its urban context in a markedly realistic manner. The first painting is in the Hermitage in St Petersburg and there are several replicas, showing its international success. In 1786, Robert used the capriccio or imaginary landscape tradition in this composition of ancient monuments in Nîmes and the Gard department as a commission from Louis XVI l for the Château de Fontainebleau.